Over the past 25 years we have built up a vast experience within the automotive business sector and we are completely familiar with the delicate balance between value and quality that is required for high profile, high impact, customer facing interiors. We have many long standing commercial relationships with some of the World’s leading automotive manufacturers which has produced a dynamic and continuously evolving retail experience. 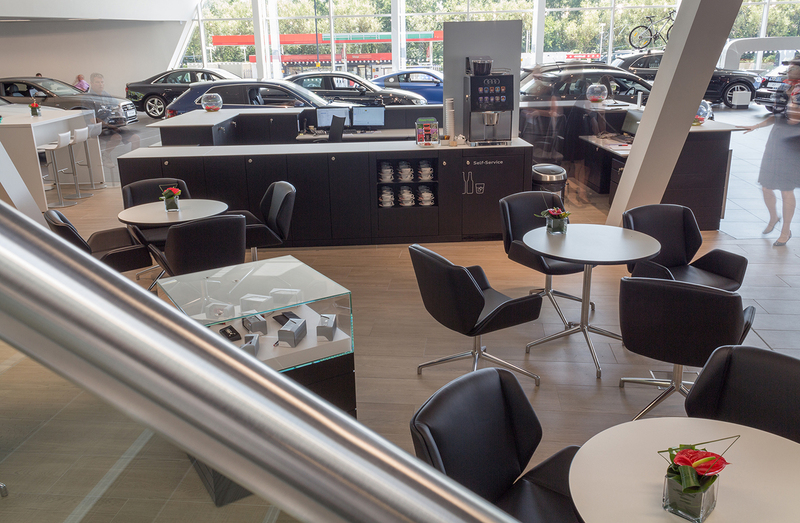 We have worked with VW Group since 1990, producing a furniture vocabulary to underpin the branding and showroom separation of Audi and Volkswagen and continuing on to the supply of ASC and current ASC2.1 showroom specification. This successful partnership has led us into producing solutions for VW Commercial Vehicles as well as Skoda and Seat showroom interiors. 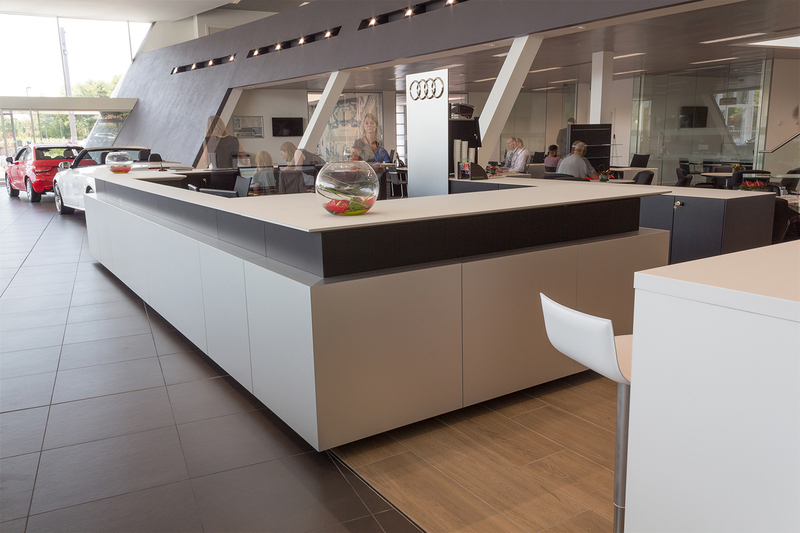 Volkswagen Group have also retained our workspace audit and interior design service in producing new flexible meeting and training facilities at their Milton Keynes headquarters and flagship West London Audi – Quattro Rooms. 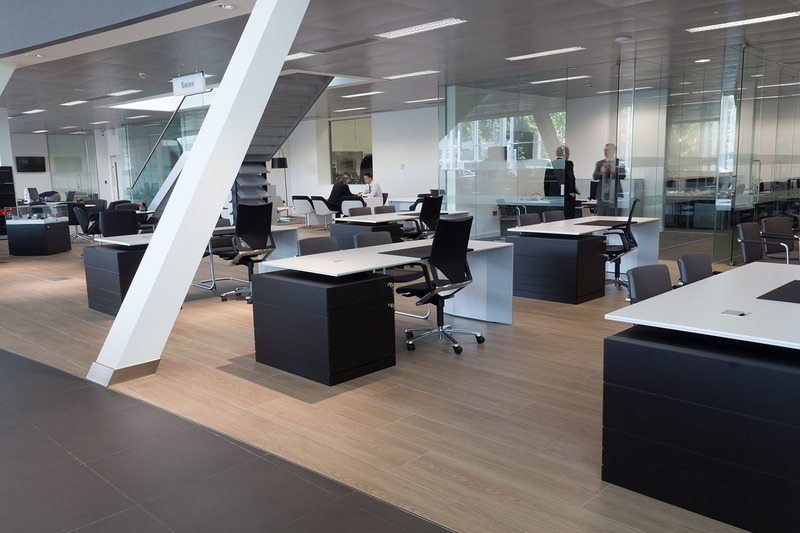 As well as designing, managing and providing brand guardianship for national networks, Corporate Workspace have a wide experience of managing “projects within projects”. 2006, Audi R8 Rollout comprising 42no. centres fitted with point of sale car platform and plasma screen, completed within 4 weeks. 2009, Jaguar Colour & Trim Rollout for Jaguar XJ launch. 2011, Land Rover Evoque Rollout, design and supply of customer interactive colour & trim units. 2015, Audi CPL and Audi Sport Rollout, currently ongoing. 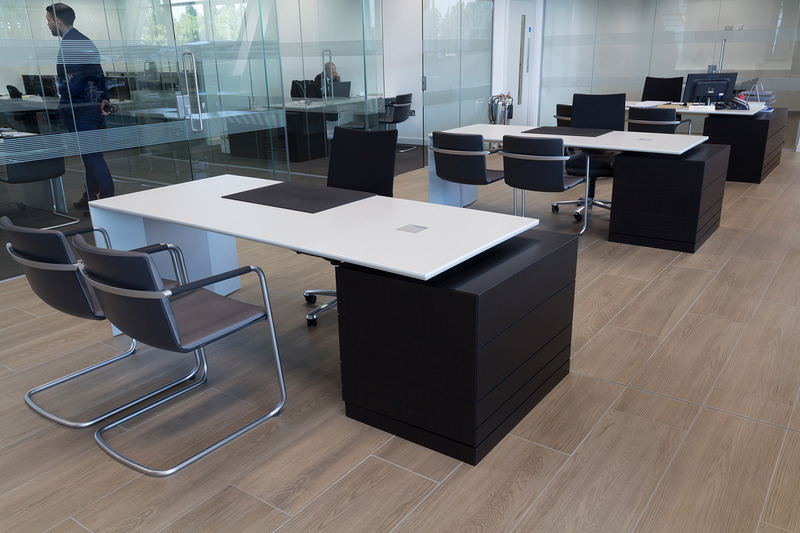 With all of these relationships Corporate Workspace provide a dedicated team so that the culture and ethos of each brand can be understood so that when we visit the network we are completely familiar and always working to pre-agreed standards.